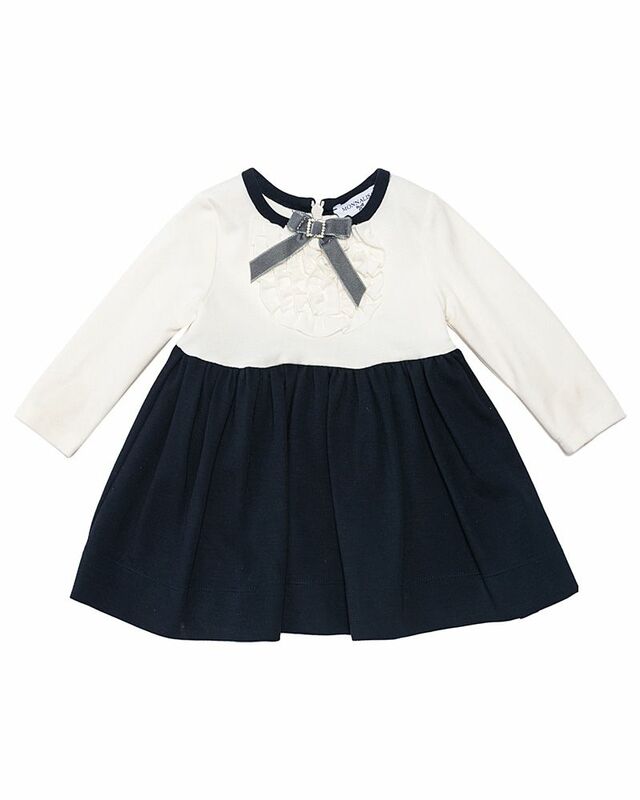 Monnalisa soft white & navy long sleeve jersey dress with stylish bow detailing at the collar. 79% Viscose/Rayon, 18% Polyamide/Nylon, 3% Elastane/Spandex. Made in Italy.